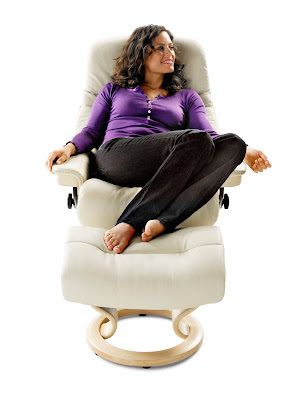 Thanks to all who bought a Stressless. And helped AHA. Downingtown and Philadelphia, PA: Dane Decor collected from our customers and donated $4,900 to help the American Heart Association. We are joining in the fight against our nation’s No. 1 and No. 4 killers – heart disease and stroke. This donation will support such life-saving efforts as research, education, advocating for better health, improving patient care and reaching populations at risk. In short, we are helping save lives. On Thursday May 19, 2016 the owners and family members of Dane Decor: Hank, Carl and Drew Hamilton met with Eileen Censullo, Vice President, Great Rivers Affiliate of the American Heart Association to give her the $4,900. to benefit INLIQUID art + DESIGN. Artists will transform chairs into one-of-a-kind artworks that will be displayed for viewing and bidding. 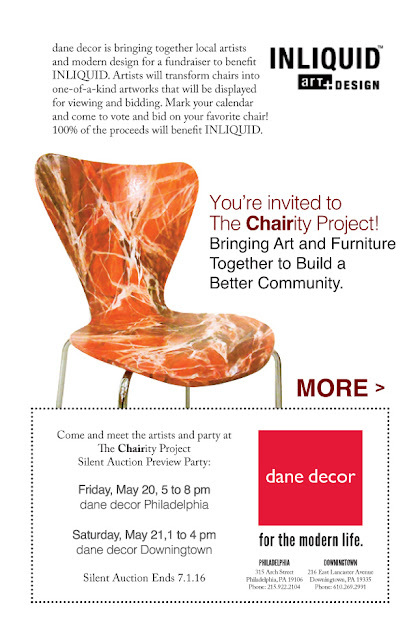 Mark your calendar and come to vote and bid on your favorite chair! 100% of the proceeds will benefit INLIQUID.